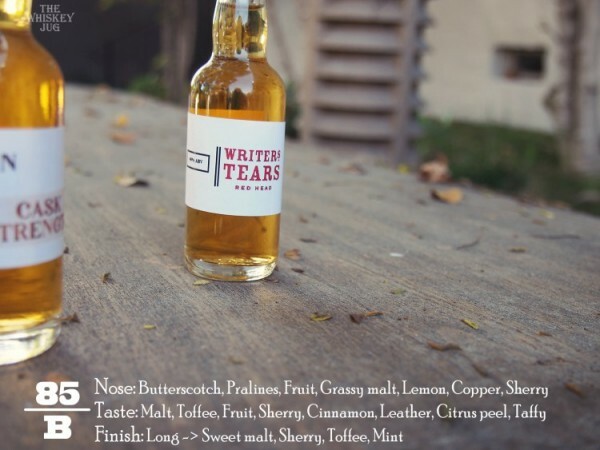 Writer’s Tears Redhead is related to the Writer’s Tears Irish Whiskey in name only. The original is a single pot still an single malt blended whiskey whereas this is a single malt whiskey. The original uses only ex-Bourbon casks whereas this one only uses ex-Sherry casks. It would be hard for them to be from Ireland and be more different and there’s nothing wrong with that. Between the two you get to experience the two core sides and casks of Irish whiskey: single malt, single pot still, ex-Bourbon and ex-Sherry. Getting them together and having a taste is basically a quick and dirty intro to Irish malt whiskey. Add a blend like the Jameson to the mix and you really have tour on your hands. 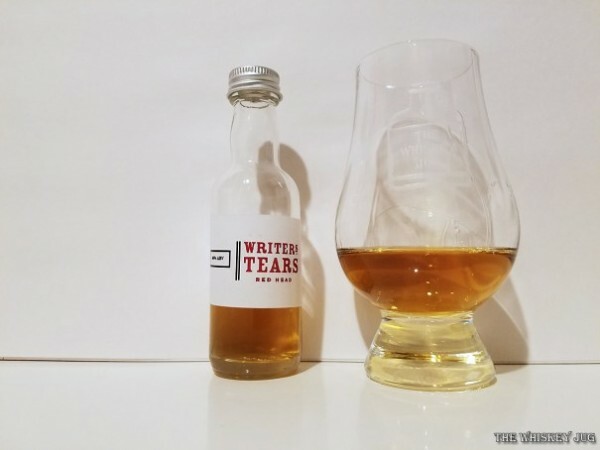 Anyways, it’s a pretty straightforward whiskey so let’s dive into the Writer’s Tears Redhead review below. Butterscotch, pralines, fruit, grassy malt, lemon, copper and a bit of sherry sweetness. Malt, toffee, fruit, sherry, cinnamon, leather, citrus peel, taffy sweetness and a bit of mint. Long -> Sweet malt, sherry, toffee and mint. Ok balance, medium body and a soft silken feel. 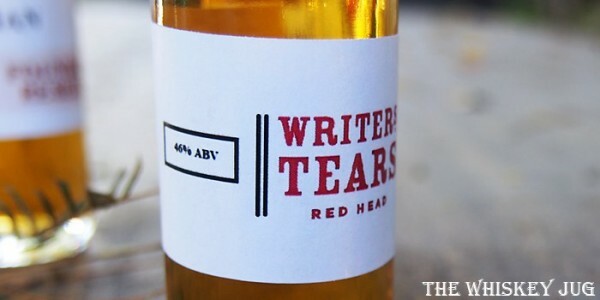 The sherry essence in the Writer’s Tears Redhead is so light on the aroma I initially thought it was just finished in sherry and not fully aged in sherry. The aroma is soft and nice, but the sherry is so light it doesn’t make much of an impression. The palate though is where the sherry makes a noticeable showing with a warm slick delivery of sweet sherried malt. All-in-all it’s not a bad whiskey, but the Writer’s Tears Redhead is also not something I’d go nuts over either. I like the Copper Pot release more because it has a deeper richer character and some of that has to be with it being a single pot still instead. I don’t know if Walsh Whiskey had an all sherry cask SPS release in the works, but I hope they do; it could be a killer release. *Disclosure: This Writer's Tears Redhead sample was graciously sent to me by the company for the purposes of this review. The views, opinions, and tasting notes are 100% my own. Writer’s Tears Redhead is good, but not great. It’s extremely light on the nose but the palate and finish are decent. The post Writer’s Tears Redhead Review appeared first on The Whiskey Jug.